Gerbsman Partners (www.gerbsmanpartners.com) has been retained by Spinal Restoration, Inc. (www.spinalrestoration.com) to solicit interest for the acquisition of all, or substantially all of Spinal Restoration Assets. Headquartered in Austin, Texas, Spinal Restoration has developed the Biostat® System, a proprietary resorbable biologic and delivery system for the treatment of chronic disc pain. The information contained in this memorandum relating to the Spinal Restoration Assets has been supplied by Spinal Restoration, Inc. It has not been independently investigated or verified by Gerbsman Partners or their respective agents. Gerbsman Partners, and their respective staff, agents, and attorneys, (i) disclaim any and all implied warranties concerning the truth, accuracy, and completeness of any information provided in connection herewith and (ii) do not accept liability for the information, including that contained in this memorandum, whether that liability arises by reasons of Spinal Restorations or Gerbsman Partners’ negligence or otherwise. Any sale of the Spinal Restoration Assets will be made on an “as-is,” “where-is,” and “with all faults” basis, without any warranties, representations, or guarantees, either express or implied, of any kind, nature, or type whatsoever from, or on behalf of Spinal Restoration and Gerbsman Partners. Without limiting the generality of the foregoing, Spinal Restoration and Gerbsman Partners and their respective staff, agents, and attorneys, hereby expressly disclaim any and all implied warranties concerning the condition of the Spinal Restoration Assets and any portions thereof, including, but not limited to, environmental conditions, compliance with any government regulations or requirements, the implied warranties of habitability, merchantability, or fitness for a particular purpose. Spinal Restoration, Inc. was founded in 2004 to restore patients lives by delivering new, early intervention, minimally invasive therapies with clinically proven results that address unmet needs in spine health management. The company developed its flagship product, the Biostat® System, specifically to address discogenic chronic low back pain. Discogenic pain is the most significant unmet need in spine health management, affecting approximately 4 million patients annually in the US alone, and represents an untapped potential available market opportunity in excess of $2 billion. 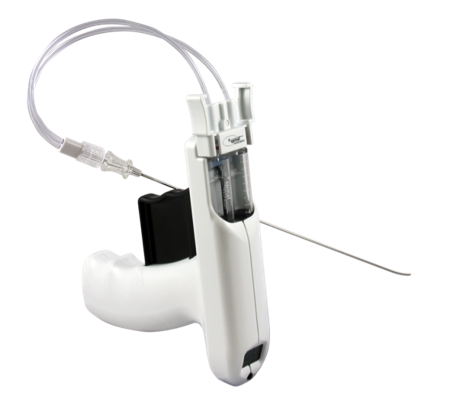 The Biostat System is a combination product consisting of BIOSTAT BIOLOGX Fibrin Sealant and the Biostat® Delivery Device. The Biostat System delivers a percutaneous injection of BIOSTAT BIOLOGX® Fibrin Sealant into a painful intervertebral disc where it forms a resorbable tissue repair scaffold and stimulates the normal healing process of the damaged disc tissues responsible for discogenic pain. BIOSTAT BIOLOGX Fibrin Sealant is Baxter Healthcares TISSEEL Fibrin Sealant repackaged and rebranded by Baxter for Spinal Restoration. 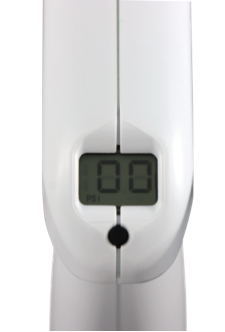 The Biostat Delivery Device is a single patient use pressure monitored delivery system designed specifically to allow safe, controlled intradiscal injection of BIOSTAT BIOLOGX into the disc. 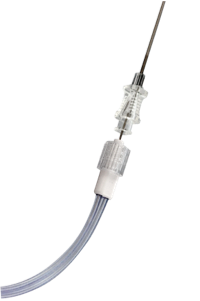 The patented delivery system includes a unique coaxial needle design that slows the setting rate of the fibrin sealant and prevents clotting within the delivery needle. Between 2004 and 2012, Spinal Restoration successfully raised three rounds of equity financing totally $30.4 million. Spinal Restoration attracted a group of investors with broad investment experience and capital resources, as well as focused musculoskeletal market expertise. With this funding, Spinal Restoration navigated the Biostat System through product design, development and manufacturing, preclinical testing, conduct of a 15-patient, 3-site IDE pilot study, negotiation of a Special Protocol Assessment (SPA) concurrence with the FDA, and completion of a 260 patient Phase III, randomized, saline-controlled Investigational New Drug (IND) study. In July of 2013, Spinal Restoration announced that the success criteria for primary analysis of the Phase III IND study of the Biostat® System were not met. The proportions of successful patients that received BIOSTAT BIOLOGX® Fibrin Sealant or saline injection were not statistically significantly different when analyzed at the 26-week primary endpoint. As a result, the Board of Directors of Spinal Restoration made a strategic decision to maximize value at Spinal Restoration and as such, have retained Gerbsman Partners to do a Date Certain M&A Process. The Spinal Restoration intellectual property portfolio includes biologic sealants composed of fibrin, thrombin, and corticosteroids for treatment of human tissues. The portfolio further covers methods and devices for delivering biological sealants to human tissues. Claims are directed primarily to the use of fibrin and thrombin, alone or in combination with various additives, in the treatment of human intervertebral discs. Device claims are directed to devices for the delivery of multi-component adhesives where separate fluid paths and pressure monitoring are advantageous. Spinal Restoration also owns 6 registered U.S. trademarks. 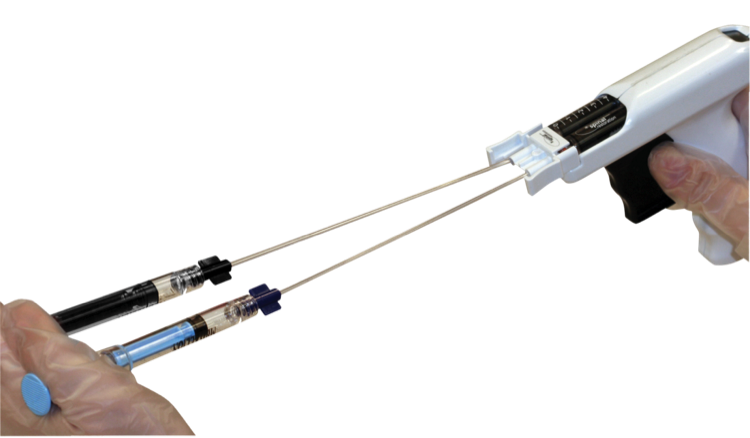 The Biostat Delivery Device is a pressure monitored, dual-chambered disposable delivery system that is designed to provide separate fluid pathways and terminal mixing for two component adhesives. The marketing assets of Spinal Restoration provide detailed business intelligence for companies developing competitive technologies for the treatment of lumbar discogenic pain. Regulatory and Clinical assets include the open IDE (#13463) and IND (#14222) filed with the FDA. These regulatory files contain all of the regulatory and clinical history associated with the development of the Biostat System. The clinical studies provide extensive demographic, medical history, imaging (x-ray and MRI), healthcare utilization, and clinical outcomes data for patients diagnosed with chronic discogenic low back pain. Regulatory fillings include the rationales and justifications for all study designs including inclusion and exclusions criteria, choice of control, study endpoints, outcome measures, etc. These documents also document FDAs questions and Spinal Restorations detailed responses throughout the IDE, SPA, and IND submission processes. · Rationale and justification for study design including inclusion and exclusions criteria, control, study endpoints, outcome measures, etc. Spinal Restoration will require the successful bidder to close within a 7 day period. Any or all of the assets of Spinal Restoration will be sold on an as is, where is basis, with no representation or warranties whatsoever.